Looking toward North Head. Photo by Drew Foster. When you need to get away, like really away, there are few places better than the peninsula’s endless stretch of beach. Step out of your car, get sand in your shoes, and leave your worries behind. Chill out with the sea breeze, breathe, and take it all in. 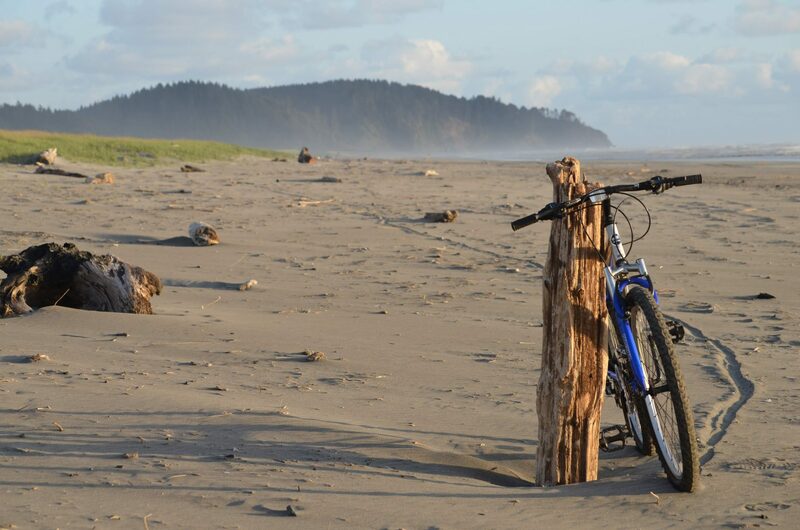 Discover why the Long Beach Peninsula is the best beach on the Washington coast! Important: Read up on beach safety before you visit! Grab some ice cream and stroll along the popular Long Beach Boardwalk that stretches for almost half a mile along the beach. 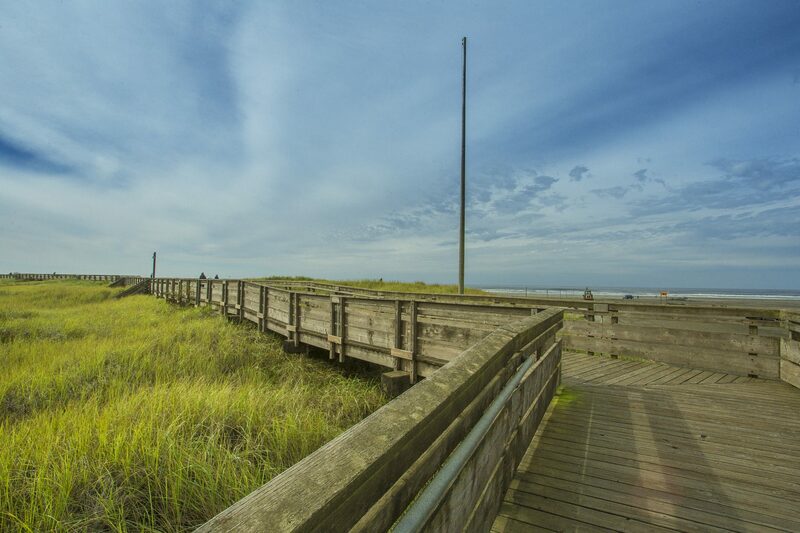 With panoramic views of the Washington coast and glimpses of the North Head Lighthouse in the distance, this boardwalk offers dreamy views. Our boardwalk isn’t flanked with carnival rides and hot dog vendors (those are downtown!). Instead, it appears as if suspended above the dunes. During the Washington State International Kite Festival, you’ll find a flurry of activity on the boardwalk, and some of the most colorful skies on the coast! The Long Beach Boardwalk drifts above the dunes. Photo by Walter Dorsett. The Discovery Trail. Photo by Mark Downey. Go farther on the 8.5-mile Discovery Trail. 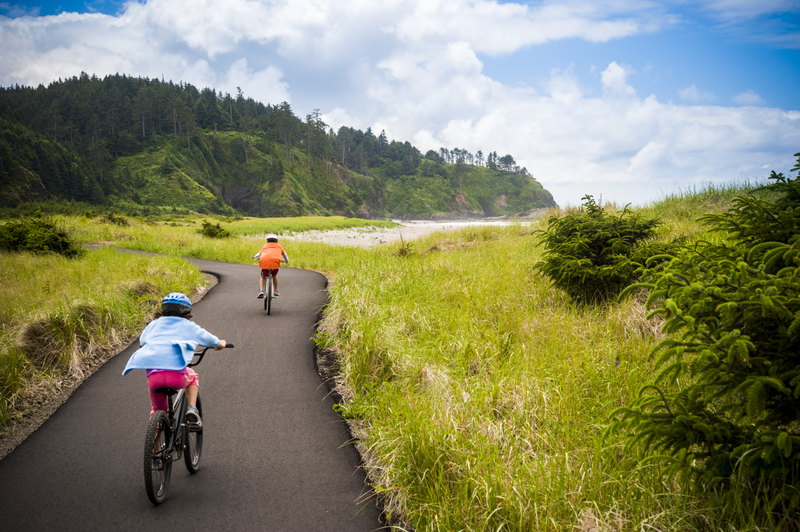 This Lewis & Clark commemorative trail terminates at the north end of Long Beach with an 18-foot bronze tree and winds south to Beard’s Hollow climbing over the cape and into downtown Ilwaco. Interpretive displays and sculptures dot the trail. Bike riders, runners, walkers, and skaters are welcome. This is incredible way to explore the Washington coast and an experience that you shouldn’t miss when you visit! Download a free map or a request a copy via snail mail. There are 7 official access points to the main stretch of beach on the peninsula. Locals call those beach approaches. We have maps of the Long Beach Peninsula available, but it helps to know what locals call these access points. Parking is always free. Important: Plan on driving on the beach? 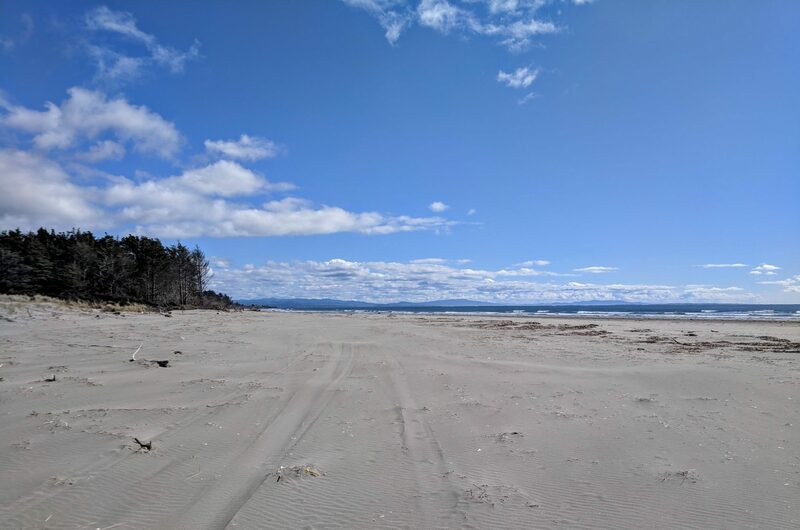 Read up on beach driving before your visit. Trust us. Getting stuck in the sand with a rising tide is not fun (or cheap to get out of). 1. Seaview Approach: Head down 38th St. in Seaview. Discovery Trail access, plenty of parking, bathrooms. Pack in, pack out! No trashcans available. 2. Sid Snyder Approach: Turn down Sid Snyder Dr. at the first light in Long Beach. Discovery Trail access, boardwalk access, plenty of parking, bathrooms, trashcans. 3. Bolstad Approach: Turn down Bolstad Ave. at the second light in Long Beach. World’s Longest Beach Arch, Discovery Trail access, boardwalk access, plenty of parking, bathrooms, trashcans. 4. Cranberry Approach: Head down Cranberry Rd. in north Long Beach. Limited parking, bathrooms. Pack in, pack out! No trashcans available. 5. Klipsan Beach Approach: Turn down 225th St.
6. Ocean Park Approach: Turn down Bay Avenue in Ocean Park. Plenty of parking, bathrooms. Pack in, pack out! No trashcans available. 7. Oysterville Approach: Head down Oysterville Rd. Daley family playing on Benson Beach. Photo by Daley Family Travels. Find Cape D on the south end of the peninsula. Watch big waves at Waikiki Beach in the winter or catch a beach concert in the summer. 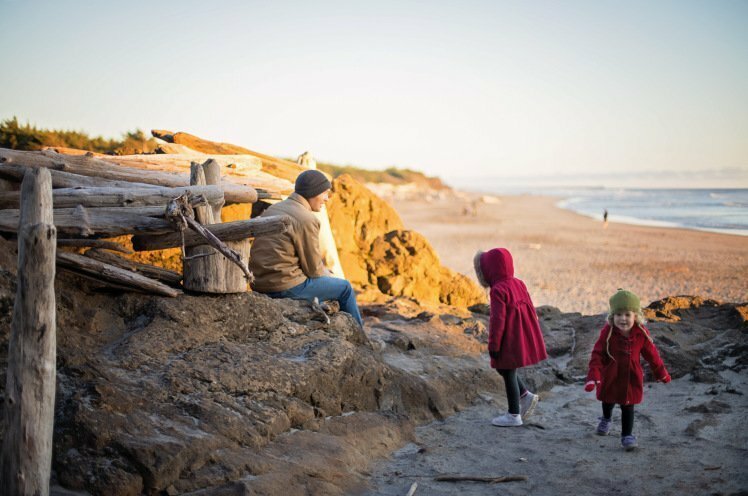 Benson Beach is a favorite place for building driftwood forts and vehicle free. The beach at North Cove. Photo by Sarah Day. If you really want to escape the crowds, head up to north Pacific County. The small towns of Tokeland and North Cove have quiet, pristine stretches of beach with few people in sight. Winter means big waves and stunning photography! Here are 10 of our favorite big wave photos from Cape Disappointment State Park. Get off the beaten path to find these beautiful and unique locations that few have heard of.